Ying Wu College of Computing Professor Qiang Tang recognized for work in digital privacy. Qiang Tang is one of the researchers around the globe receiving this highly competitive award: this year Google received 910 proposals covering 40 countries and more than 320 universities. 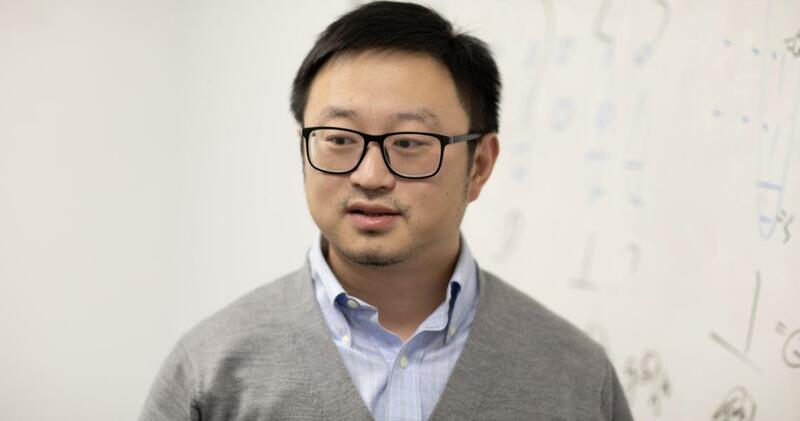 Tang was recognized for his work in cliptography, an advanced form of cryptography, which preserves the security of cryptographic tools even if they encounter malicious software or hardware implementations containing backdoors. The battle to keep online data secure and create encoding mechanisms to prevent online theft of currency and intellectual property is never ending. As companies and researchers develop more advanced security methods, online criminals counter with malicious software to compromise these methods. Tang said attackers use kleptography, which is the process of secretly embedding malicious code (or a backdoor) within a cryptographic program to steal information. Using specification redesign, e.g. by decoupling the package into several pieces, cliptography can disable the kleptographic attacks so security can be preserved even if malicious code is present, or the malicious code can be easily detected. “Cliptography involves both laying down the scientific foundation of cryptography facing malicious implementation, as well as leveraging architectural tools to harden existing secure protocols,” he said. With the funding from Google, Tang is researching cliptography in the setting of secure multiparty computation, protocols that enables multiple participants to jointly work on a task without revealing any individual private state. To learn more about the research being done at YWCC, consult the 2018-2019 research report at https://computing.njit.edu/research-report-2018-2019.